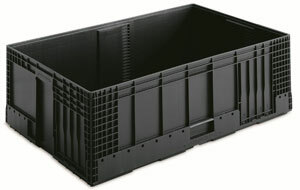 Medium Containers. 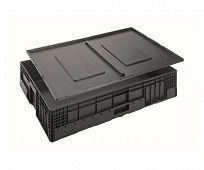 Order directly from our online shop | George Utz Ltd. 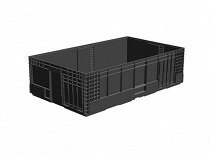 Medium containers are available in the basic dimensions 600 x 500 mm and 1000 x 600 mm. 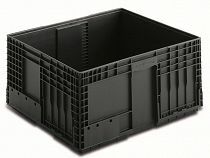 Grooves on the inner sidewalls of the containers allows inserts, for example thermoformed component holders or foam inserts, to be connected to the inside of the container.